Considering the humid and hot climate in Singapore, air conditioning unit is almost like a basic to have. The fact that Singapore does not experience winter or spring season, gives you an idea of the type beautiful climate that this nation has. Aircon is unit that will help in regulating the room environment so as to provide a serene and comfortable atmosphere to work in or just reside in if it is installed in the residential property. But like any other device, these units are prone to all kind of mechanical and electrical faults that can hamper their operation. This is why continuous servicing and cleaning is very crucial in order to maintain their optimal performance. When people hear anything to do with chemical cleaning, the first thing that they register in their mind is the high cost of service delivery. But this is far from the truth as the service provider offers different and affordable cleaning packages that any person can afford to hire. Each aircon is different in its way, and thus the magnitude of the task will vary. By this, it simply means that you cannot generalize the charges. The cost of these chemicals is not that high to warrant high costs as many would believe it to be. Thus, it is a total misconception that many people have over the cost of service. Some Singaporean fears using this method in cleaning their Aircon believing that it can cause health complication. They believe that the chemical can be dangerous to their body, and this is the reason they prefer the use of the traditional methods in servicing their air conditioners. But this is an unfounded fear as it has been scientifically proven that the exercise does not affect even the pets living in that room leave alone human. All that one can do is to leave the service provider alone while in operation to avoid coming into contact with these chemicals during the cleaning session. Once the unit is completely clean and installed, the chemicals cannot harm anyone at all. This is another common misconception that people have on the aircon chemical cleaning. Just because it is referred as chemical cleaning, many tend to believe that it may contain some corrosive substances that can lower the lifespan of the unit. But this is not true as these chemicals are highly researched and certified by authorized bodies to be used for these activities. Furthermore, chemical cleaning is known as among the best maintenance methods that guarantee a long lifespan of the aircon unit and also a way that improves its efficiency significantly. The reason many would opt to go for the traditional methods of cleaning their aircon is for believing that chemical cleaning it requires a complicated procedure. But this argument would be out of sheer ignorance or misinformation as the procedures of chemical cleaning are very simple for anyone to follow. From this misconception, many people have failed to benefit from this service that could see their aircon unit improve their performance. Note that chemical cleaning is the easiest and the simplest way of having your unit totally cleaned. 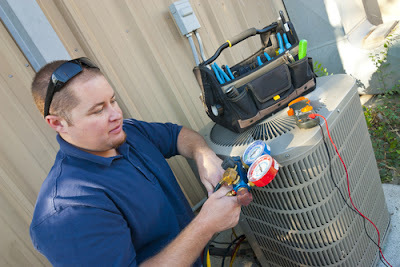 There are absolutely no complications in this method of air condition cleaning, and it’s very easy to handle. 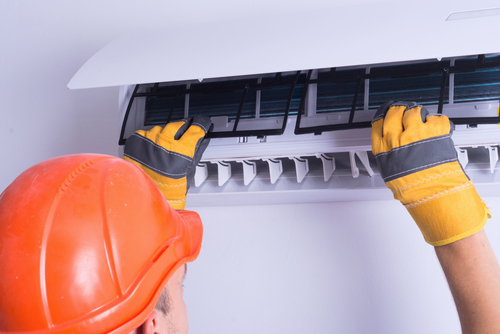 Many people would tend to think that is a method of air-con cleaning can replace the traditional method. This is a misconception that many Singaporean have, but the fact is that it cannot completely replace the traditional cleaning. Combine both of them is the best way that you can come up with quality service that will enhance the performance of the aircon unit. Thus, you cannot rely fully on this method of cleaning alone but you are required to combine the two methods for perfect results. It is a misconception vast majority of people fail in getting excellent outcome in this service delivery. Some people think that chemical cleaning is only used for stain removal, but they fail to understand the effect that it has on the whole unit. It is a fact that chemicals are good for stain removal, but they are also very crucial in unblocking any clogged parts of the aircon. This is a fact that not many people are aware of. Do you know that chemical cleaning is the best ways of dealing with a leaking air conditioning unit? Yes, it is a method used for the removal of stains but also cleaning the vital functioning parts of the aircon. 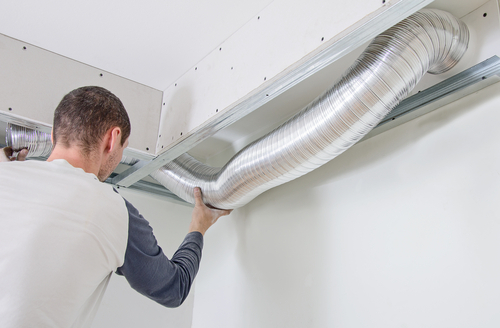 The fact that air condition is mostly meant to condition the air in the room, the use of chemicals in the cleaning of this unit is a subject for debate by many people. The main misconception on this is that people believe that the residues of the chemicals that are left after cleaning can pollute the quality of air in the conditioned room. But this argument is not true and it has no scientific basis. The chemicals used for cleaning are totally diluted with other fluids to remove them any residues. You do not go for the contractor just because they seem to have the best equipment. It is a common misconception vast majority of the people has, and they end getting disappointed. Selecting a service provider with the necessary skill and experience is the only to ensure that you have gotten value for your money. Many have equipments that they have an idea of how to use them. So, the fact remains that, chemical cleaning ids one of the best methods of ensuring that your aircon is thoroughly cleaned. Its benefits cannot be compared with traditional cleaning, but you must use both so as to get the best results. Hire the most reputable and experienced service provider to get value for your money..